Only a week after speculation arose that Amazon was reconsidering its plans to build part of its second U.S. headquarters campus in New York City, the company released a statement Feb. 14 confirming it was pulling out of the deal. Amazon also said in the statement that it “did not intend to re-open the HQ2 search at this time,” leaving open the question whether the other two confirmed HQ2 sites, in Crystal City, Virginia and Nashville, would absorb the additional 25,000 jobs planned for the Long Island City campus. In light of earlier reports that Amazon was reconsidering NYC as a location, representatives from other cities and states that hoped to lure Amazon publicly urged the company to reconsider their own cities. 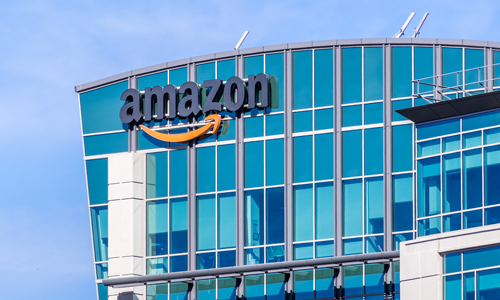 Boston, Chicago, Miami, and Atlanta were all considered favorites in the national search for Amazon’s HQ2, prior to the final announcement. For more than a year, corporate giant Amazon promoted a nationwide contest of sorts to choose the location of its second U.S. headquarters. Its ultimate surprise decision to split HQ2 in two, and divide its purported 50,000 new jobs between the Washington, D.C. and New York City metros, wasn’t received well by some. New York residents and civic leaders voiced particular opposition to the deal, so much so that by Feb. 8, Amazon executives were said to be reconsidering the choice. “The question is whether it’s worth it if the politicians in New York don’t want the project, especially with how people in Virginia and Nashville have been so welcoming,” one person involved in the discussions told to The Washington Post. Officials in Virginia moved quickly to finalize the deal struck between the state and Amazon to build a new corporate anchor in Crystal City, just outside of Washington, D.C. The deal includes some $750 million in incentives offered by the commonwealth. Nashville will also see a smaller-scale corporate development. New York lawmakers at federal, state and local levels amped up their criticism of the deal in the weeks following the first confirmation of the planned Long Island City development. Much of their concern was fueled by protests from residents, some of whom feared rents would become unaffordable, while labor groups argued that Amazon’s activity would depress wages. More concerning for Amazon was the appointment of State Sen. Michael Gianaris to a panel that will review the deal, and could ultimately approve or reject it. Gianaris represents the district where Amazon plans to build its new office campus, and has already been a vocal opponent of it, namely the incentives and subsidies the state has offered the company. Executives at Amazon and other supporters of the plan feared Gianaris would sway the state board to veto the deal.